This weekend, the city of Chicago hosts the 35th annual Blues Festival. The celebration is bookended by a series of tributes Friday night and a festival-closing performance by Mavis Staples on Sunday. On Wednesday, we visited a rehearsal with many of the blues artists who record for Delmark Records – and discovered the latest chapter of that storied Chicago label. Mike Wheeler, blues artist: Born and raised in Chicago, Illinois, I’m a blues musician and I enjoy my job. Phil Ponce: At Delmark Records, a blues summit took place in preparation for the weekend events in Millennium Park. Eblio Barilari, Delmark Records: Today we have a rehearsal for the Chicago Blues Festival because on Friday we’re going to have a tribute to the 65th anniversary of Delmark Records and then all our artists are going to be featured there. Wheeler: It’s a very good thing because it’s a lot of heavyweight blues artists in here, all together at one time, so it’s special. I’m doing the Otis Rush tribute on the Pritzker stage Friday night for the Delmark 65th anniversary, and Otis is one of my heroes so I’m looking forward to doing that. 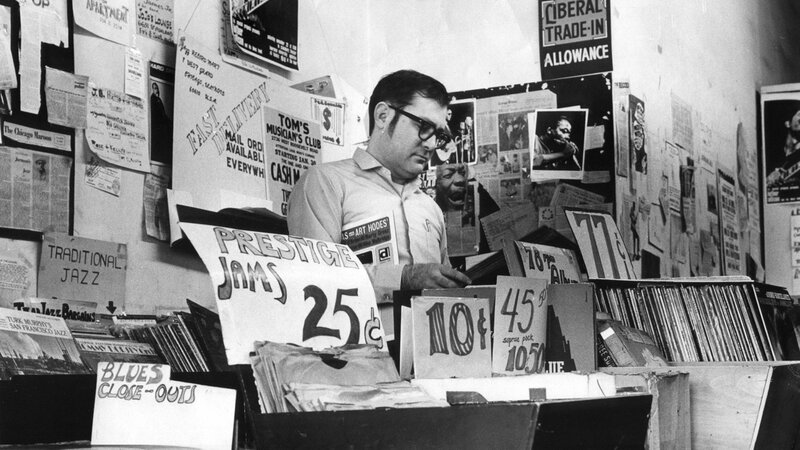 Ponce: For 65 years, the blues and jazz label Delmark Records was owned by Bob Koester. Last month, the label changed hands and we spoke with the new owners, who are now carry the torch of a historic catalog and recording studio. Julia Miller, Delmark Records: Throughout the time that we were putting the business deal together, we were planning for the future as well. We have a five-year plan for releases and also maintaining the catalog and reissuing the catalog. The history is very important to us, and we also are going to be focusing on new releases in the future. Barilari: For the blues community and the jazz community the message is: we are going to keep doing the blues part and we are going to keep doing the jazz part. All the many, many different tendencies of jazz and blues are going to be represented here, and the idea is to keep the legacy and build on that legacy and grow. Miller: Well, 65 years of unique performances and each performance sounds like none other. Bob Koester was really interested, is really interested in, people who didn’t sound like anybody else, and recordings that didn’t sound like anybody else, and we appreciate that, that’s what we’re looking for as we bring the label into its next era. Ponce: One of the new owners is a bandleader and radio host who grew up far from the Chicago blues. Barilari: I am from Montevideo, Uruguay in South America. I was trained as a classical composer. I’m very grateful to Chicago, and now I have this great opportunity together with Julia. Ponce: Blues fans flocking to Chicago this weekend will get a taste of the history and future of Delmark Records. Photos: Artists participating in the Friday night Delmark Records tribute. Wheeler: The Blues Fest is one of the most important times of the year in Chicago, definitely for me and blues lovers because people from all over the world come here, to celebrate the Blues Fest and hang out. It’s just a great time of year, man, and hopefully the weather’s nice – and even if it’s not nice we’re still gonna have a good time. The Chicago Blues Fest takes place Friday through Sunday at Millennium Park. Get more information – including the complete lineup – here. And if you recognized the voice of one of the new owners of Delmark Records, you must be a regular listener of WFMT. Elbio Barilari is also the host of “Fiesta,” the classical music program devoted to traditions of Latin American music on our sister station.